Barter Books : Dougan, David : The Great Gun-Maker. 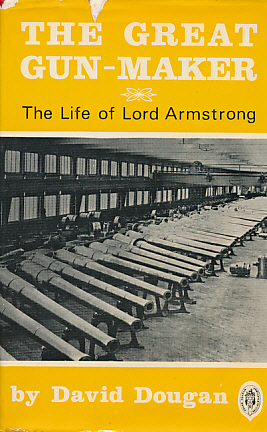 The Story of Lord Armstrong. 220 x 150 mm (9 x 6 inches) - 189pp. VG : in very good condition with dust jacket. Previous owner inscription to fep. Account of William Armstrong's place in the 19thC international arms race and of his rival Krupp - the story of the manufacturing wealth upon which Newcastle grew as a major industrial centre.